A music group is so much more than a few musicians creating music together. A music group is a bond that binds individuals from different walks together. Zansam is no different. The Zansam team members are geographically distributed not just in different cities of India, but around the world. 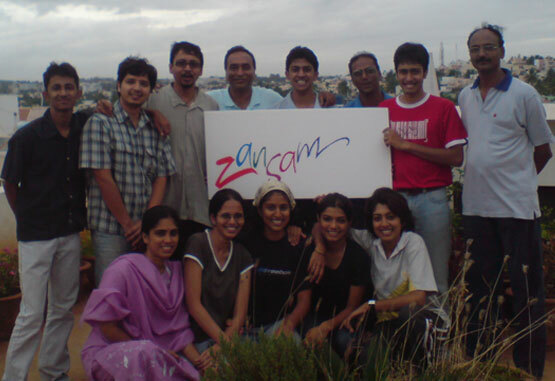 Members of the Zansam team live in Mumbai, Hyderabad, New Delhi and even California, USA. Our team comprises music composers, music teachers, businessmen, students, working professionals — even an Air Force Pilot! Not everyone in the team is a singer or instrumentalist either. The behind the scenes team is as much an integral part of Zansam as the on-stage performers. Whether it is managing the sound or wardrobe, marketing or publicity, sponsorship or event management, website design or print literature — we wouldn’t be a complete music group without them all.